Newry, Mourne and Down District Council is delighted that Newry has been chosen to host next year’s 2019 UK and Ireland Pride festival. The announcement was made to bid applicants, Pride in Newry and Newry Rainbow Community at the annual UK Pride Organisers Network (UKPON) conference in Glasgow on Sunday. The bid, which beat off competition from three other locations, was also submitted in partnership with Newry, Mourne and Down District Council and Newry Business Improvement District. 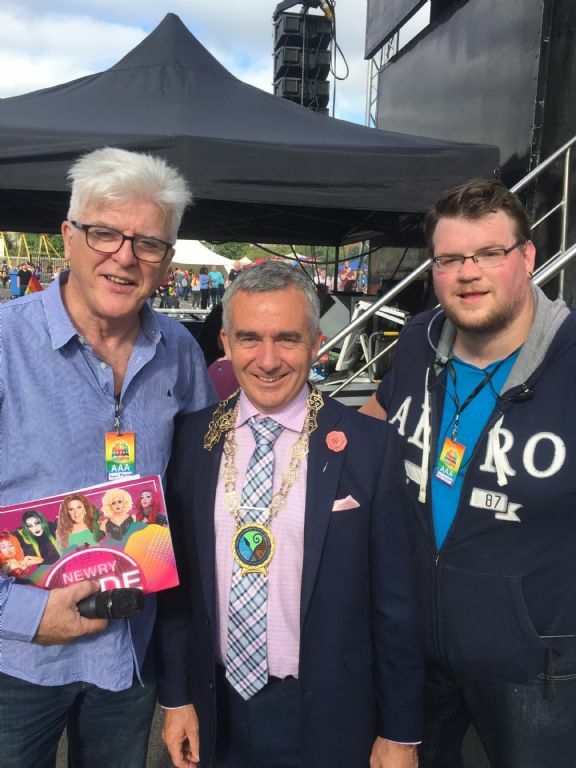 Newry, Mourne and Down District Council Chairman, Councillor Mark Murnin said, “I would like to congratulate Pride in Newry and Newry Rainbow Community for their tremendous win. This is not only excellent news for the LGBT community in Northern Ireland, it represents an opportunity for all of us to showcase Newry to an international audience. Newry is a welcoming and inclusive city and these factors were instrumental in the bid’s success. Thousands are expected to attend on the day and I would encourage everyone to get involved and support this diverse and dynamic festival.